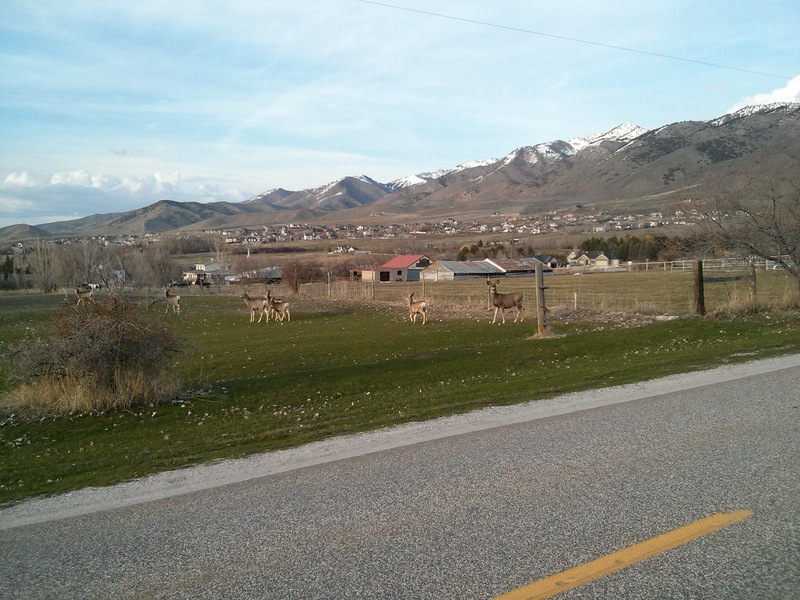 There's a road we take to get the North Logan library and a favorite park where we always spot deer. There's a small apple orchard nearby that I suspect they come to visit. I still have to slow down and point the deer out to the kids whenever I see them - it just seems so fun and unexpected (even though we may have seen them there last week...) It's just such a funny part of living in Logan. I love this quick drive/ride - farmland, cows, horses, sheep (and deer!) it always makes me feel like we live in a very country town.